Happy Holidays From Eileen Carey!!!! L.A.-based vocalist Eileen Carey accepts her “Americana Album of the Year” plaque for her recently-released CD “MOVIN’ ON” at the 19th Annual Los Angeles Music Awards, Thursday, November 12 at the Avalon Theater in Hollywood. Carey was also picked as a “Hot 100 Artist For 2009” by respected industry trade publication, MUSIC CONNECTION MAGAZINE, in their year-end issue. 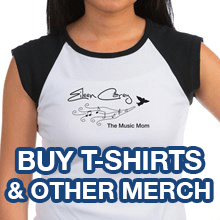 http://www.eileencarey.com. (LOS ANGELES) – Country-Pop vocalist/singer-songwriter EILEEN CAREY’s recent CD release MOVIN’ ON (MyRecordLabel.net) is nominated in “Americana Album Of The Year” category for the 19th Annual Los Angeles Music Awards, taking place Thursday, November 12 at The Avalon Theater in Hollywood, Calif. The LAMA’s are the longest-running independent awards show of their kind; past nominees/winners including Grammy-winning artists the Black Eyed Peas and blues guitar great Walter Trout, among others. More info: http://www.myspace.com/lamusicawards. Eileen Carey performs locally at the L.A. County Fair, Pomona Fairplex, 1101 W. McKinley Ave., Pomona, Sunday, October 4 (Pepper St. Stage), 3:45-4:30 p.m. Tickets $17. (ticket discounts on site; log onto www.lacountyfair.com or call (909) 865-4590 for more info.). Carey recently performed at four different showcases during the 2009 Indiegrrl Women In The Arts Conference in Nashville, TN. – one of the biggest, most important yearly gatherings showcasing today’s brightest new female artists in all music genres.“Singer/songwriter Eileen Carey has emerged over the last few years as a both an accomplished storyteller and effective, appealing stylist,” writes Ron Wynn in NASHVILLE CITY PAPER. Carey won “2009 Song of the Year” at the 5th Annual South Bay (Los Angeles) Music Awards for “That Was Her, This Is Now,” written by country stalwart Keith Urban and Vernon Rust. Her latest single “Out With The Girls” was added to the current episode of WomensRadio Review Music Podcast (http://sizzlinsoundz.audioacrobat.com/rss/womensradio_music_review_podcast.xml). “That Was Her, This Is Now” and “Hearts Of Time” from Carey’s previous CD of the same name are receiving airplay on San Diego’s New Country 95.7 as well as other Country and AAA stations nationwide. 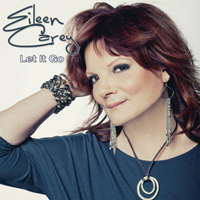 EILEEN CAREY MOVIN ON REVIEW CDS/ INTERVIEWS/SHOW PASSES AVAILABLE. Hey Country Music Fans: There’s a great new website called Nasville Gab (www.nashvillegab.com), which bills itself as “Nashville News and Country Music Gossip.” The site is hosted by the “Bloggin Momma,” Shannon Davis. Nashville Gab features all kinds of informative news and tidbits, as well as humorous videos (like the one posted the other day, where Taylor Swift and her band came out dressed like members of the glam-rock band KISS (complete in full makeup) as a playful prank to tour-mate Keith Urban, while the latter was onstage performing his song, “Kiss A Girl.” Nashville Gab will also soon be featuring CD Reviews…! Contact: blogginmomma@hotmail.com. (NASHVILLE, TN) – Country-Pop vocalist/singer-songwriter EILEEN CAREY, returns to Nashville to perform four separate times during the upcoming “Indiegrrl Women In the Arts Conference:” At “Rockin’ Moms” Showcase, Friday, August 21 at 9:50 p.m.; “WomensRadio Guerilla Showcase,” Friday, August 21 at 10:30 p.m.; “Indiegrrl Showcase,” Saturday, August 22 at 6:10 p.m.; and at the “Nette Radio Showcase,” Saturday, August 22 at 10 p.m. The Indiegrrl Women In The Arts Conference – one of the biggest, most important yearly gatherings showcasing today’s brightest new female artists in all music genres- happens at Hotel Preston, 733 Briley Parkway, Nashville, August 21-23. Info: (276) 224-0485 or http://www.indiegrll.com. Carey took home “2009 Song of the Year” honors at the recent 5th Annual South Bay (Los Angeles) Music Awards for “That Was Her, This Is Now,” written by country stalwart Keith Urban and Vernon Rust and appearing on her newly-released CD, MOVIN’ ON (MyRecordLabel.net). 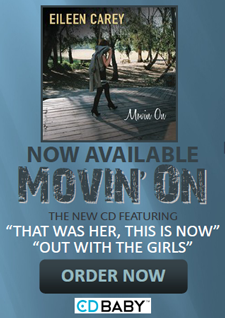 Her latest single “Out With The Girls” is currently ascending the Pop-Country Radio charts and was added to the current Episode of WomensRadio Music Review Podcast (http://sizzlinsoundz.audioacrobat.com/rss/womensradio_music_review_podcast.xml). “That Was Her, This Is Now” and “Hearts Of Time” from Carey’s previous CD of the same name are receiving airplay on San Diego’s New Country 95.7 as well as other Country and AAA stations nationwide. (VENICE) — Nette Radio and TK Promo present “Get INDIE-pendent” — a night of top-notch all-female artists, at The Talking Stick, 1411 C Lincoln Blvd., Venice, Friday, July 10, 7-10 p.m. Free. Info: (310) 450-6052 or log onto http://www.the talkingstick.com. Performing that night are The Conlons; The Gsells; Carrie Wade; Rachael Harryman; and Seeing Thingz. More info also available at www.netteradio.com or www.myspace.com/netteradio. One of Hollywood’s earliest successful Black film and television stars, Dunson has a distinguished history in Tinsel town. The former “Miss Michigan Universe” winner was a regular on three long-running television series – “Lohman & Barkley,” “D.A.” and “Emergency,” and appeared in over twenty commercials while being represented by the prestigious William Morris Agency. Indeed, Dunson earned over 2 million dollars before the age of 24! In 1977 Dunson created and published BLACK HOLLYWOOD, which was the only Black casting magazine for actors and actresses of color. “YOU CAN’T BUY LOVE” REVIEW COPIES AND SONJA DUNSON INTERVIEWS AVAILABLE. Country-Pop vocalist Eileen Carey, fresh off her performance on the Mamapalooza Stage at last Saturday’s Baby Time Expo in San Diego, Carey performs at the Del Mar Fair, 2260 Jimmy Durante Blvd., Del Mar (Coors Lite Stage), Wednesday, June 24, 8:30-10 p.m., free, info: (858) 755-1161 or log onto http://www.sdfair.com. Carey took home “2009 Song of the Year” honors at the recent 5th Annual South Bay (Los Angeles) Music Awards., Carey won for “That Was Her, This Is Now,” written by country stalwart Keith Urban and Vernon Rust and appearing on her newly-released CD, MOVIN’ ON (MyRecordLabel.net). Carey previously won “Best Female Vocalist” winner at the 2007 South Bay Music Awards. Eileen’s latest single “Out With The Girls” is currently ascending the Pop-Country Radio charts.